This world is big; large to many of us. People, millions in number spend their times in different circles chasing stuff, doing things they had never thought of, happily or with a responsibility, sadly. There are a hundred or million things a person wishes in this entire lifetime and many go unanswered. The world is a chaos, a systematic chaos. The universe has so many mysteries stuffed in it that it might seem like a seashell at times or an entire sea. The way we look at things, the way they become for us. 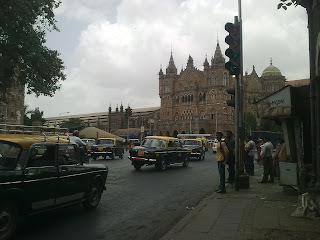 I’m in this city called Mumbai, for the past few days, and it seems I’ve seen the whole human race. Mumbai, a city of dreams and desires; a city of Gold. It’s like a mother who encompasses every visitor as her child with ease. This is a complicated as well as a very simple organization. I have in the past few days seen almost every level of this city with my bare eyes, trotted the city roads on foot, bus, autorikshaws, skywalks and I love it. It’s not my first time in this city, I’ve been a regular visitor as a child here, and in the past two years, I’ve been turning up here alone, doing as my heart says, reaching up to the scent of the mist this city offers, and rushing the bloodlines of the city, the Locals. The city offers no heat, as my homeland does but gives you a holy bath of sweat, which every person in here shares equally. There is no reason I could hate this city for, not even for the pocket picker who robbed my friend in the blink of an eye. These city dwellers thrive on whatever they can think of, from begging, to pocket picking. The city offer space for everyone here. There is crime, but not because of some mischief, but in the race to survive. In the matter to live life, one way or the other. I have lived in areas, high and low, every other day, JJ Hospital’s secure and lonely fortress, Thane’s high rise building apartments, Andheri’s skyscrapers, King’s Circle’s Central Government flats, and even Navi Mumbai’s bungalows. I came here for automobile parts, cheap ones for a project of mine. I travelled unknown paths moving in locals, busses, air conditioned ones, sitting on the floor to the double Decker ones. Not forgetting the two toned taxis and rickshaws which cost me fortune. Treading all the three system mainlines, the Harbour, Central and the Western, the path was one great memory. People coming in and out like animals in a barn, stuffing the big metal boxes to carry them to their loved ones, this is a regular scenario in the city hub. But once you get a chance to take your head out of the silent rowers and you feel a touch of divinity, forgetting the pain and the filth in the air, you feel a gust of wind throwing itself on you all the time and the sweat is washed away. It doesn’t matter then who is to your right or left or who is thinking what, it’s just you and you alone. Lost in the air. The ride is not always the same. Oohs wait here. Whom am I writing this to? The people of Mumbai? What’s new here? You experience this all the life. But this is not just to the Mumbaikars, the jumbled up mess of people from all the parts of the country who come here with a hope in their hearts to write a page of destiny or let the destiny open up a page for them. This city never disappoints anyone; no one goes empty handed from here. The city holds all her children near, so this is not to the Mumbaikars alone, but to the whole world. I have seen the faces of the most privileged people getting out from their fancy cars into the huge air conditioned malls, but with a tinge of disappointments, even tears in the fluffy couch of the Café Coffee Day to the small children beside the police bogies under the bridges with a carefree soul. Happiness is what we create for ourselves. I’ve heard of lovers getting cozy in their homes from a sneaker in the opposite high rise to watching couples intimately kissing under the shadows of the rocks at the beach. Caught a look at young foreigners basking in the evening sun and seen grandparents discussing life with their children’s heirs. This city has it all; Ambani, to ShahRukh Khan to some Hameed Bhai selling auto parts, and a Sultan serving coffee at the great Ataria Mall. People are being looted over the name of jobs, while the crying ones with lost wallets enjoy the cool air at Mc Donald’s. This city loves everyone. And so this is a small story. A little part of what I felt. Salutations to the spirit of Mumbai!